Development Boards : Matrix NAND Programmer - SHOP01MEDIA - console accessories and mods, retro, shop - One Stop Shop! 821 products in our shop! Prices with TAX/VAT (EU) TAX-FREE Prices! Cost effective NAND reader / programmer.Cost effective NAND reader / programmer.It features a PIC18F2455 microcontroller for stable and quick reading/writing of all NAND models available on the different XBOX360 models. The Matrix NAND programmer is also fully compatible with NANDPRO 2.0e and several other third party programming tools. 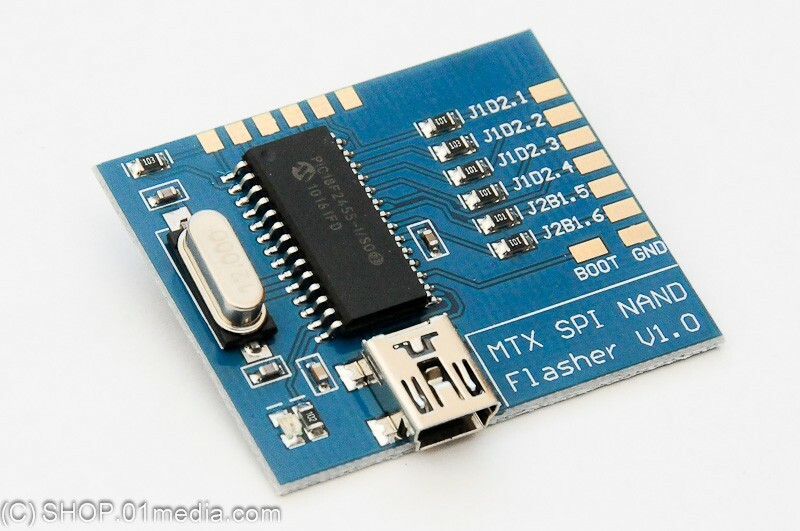 Fast USB SPI 360 NAND programmer! Fully compatible with all XBOX360 NAND models. Fully compatible with NandPro2.0e Software and other third party software. 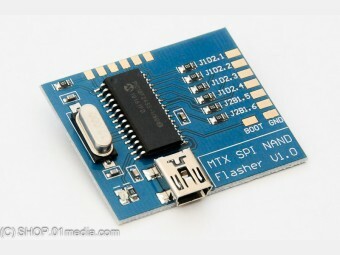 Easily reprogrammable with via USB connector. Quick reading and writing times. Microchip based for enhanced stability. SHOP01MEDIA - console accessories and mods, retro, shop - One Stop Shop! This site and all contents are © 2002-2009 01Media. All Registered Trade Marks used on this Website, whether marked as Trade Marks or not marked, are declared to belong to their respective owner(s).